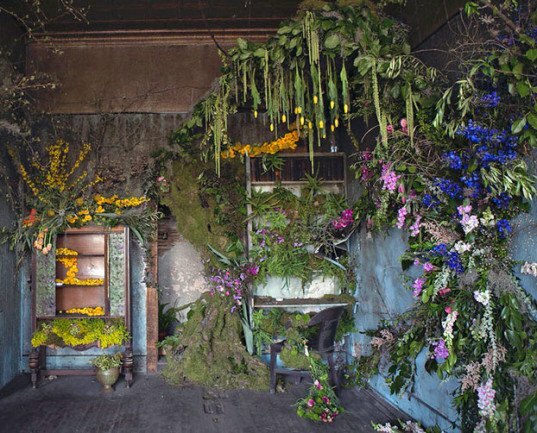 Florist Lisa Waud is transforming a long-forgotten home in Detroit into a spectacular display of flower blossoms and growth. The Flower House will serve as a testament to the home’s memories and to the future possibilities for other local abandoned properties. Waud recently gave a preview of the exhibit, which is set to take place the third weekend in October, and the results of the 48 hour makeover are stunning. The event in October is set to take place in three parts: firstly, the beautiful installation will be constructed, with the help of local designers, and is expected to hold up to 100,000 different flowers. Secondly, the exhibit will be dismantled, the flowers repurposed, and the home responsibly deconstructed with the help of funds from Waud’s Indiegogo campaign. 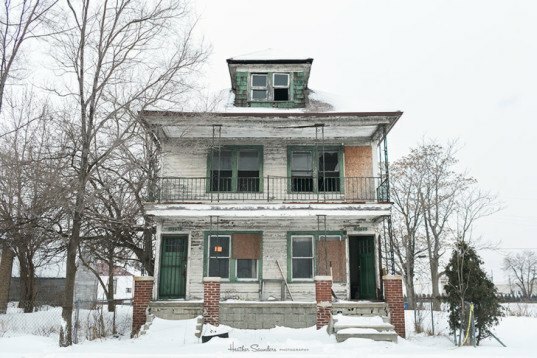 Lastly, local company Reclaim Detroit will recycle up to 75% of the construction materials for other projects. And what will be done with the property once all is said and done? It will be converted to a flower farm, bringing purpose and beauty back to the land. 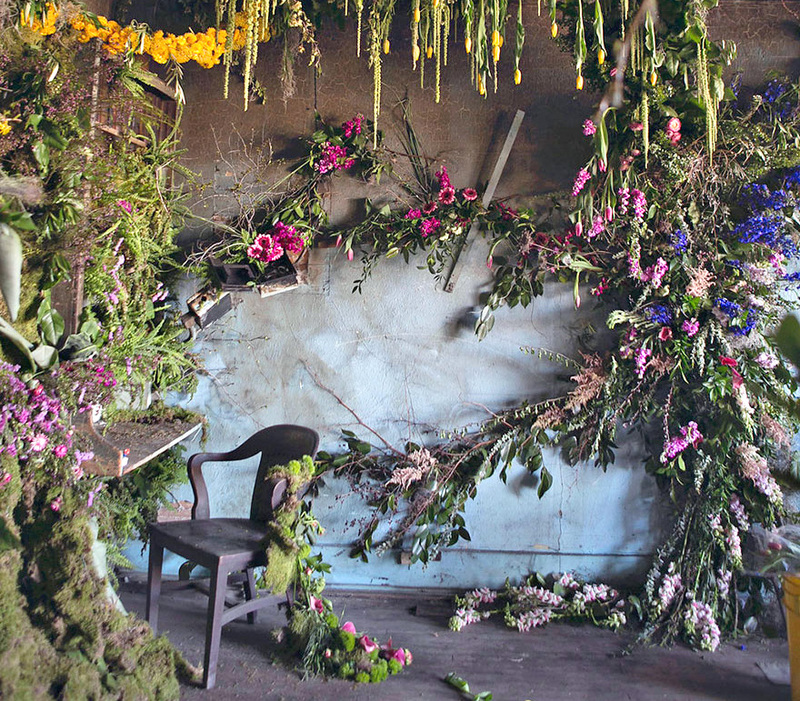 The Flower House previewed their installation with a 4,000 flower project in the home this month. The big event is to take place this October. The event in October is set to take place in three parts: firstly, the beautiful installation will be constructed, with the help of local designers, and is expected to hold up to 100,000 different flowers. The home and its surrounding property were purchased at a public auction for $500 and, even though dilapidated and falling apart, Waud saw promise in the structure. Secondly, the exhibit will be dismantled, the flowers repurposed, and the home responsibly deconstructed with the help of funds from Waud’s Indiegogo campaign. Lastly, local company Reclaim Detroit will recycle up to 75% of the construction materials for other projects. And what will be done with the property once all is said and done? It will be converted to a flower farm, bringing purpose and beauty back to the land.